Connecticut’s initial response to the Depression was limited to a $6 million public works program and a modest jobs project in the state’s parks. In the second of Wilbur Cross‘s three terms, Democrats took control of the state Senate, and in 1936 they made significant inroads in the once solidly Republican House. 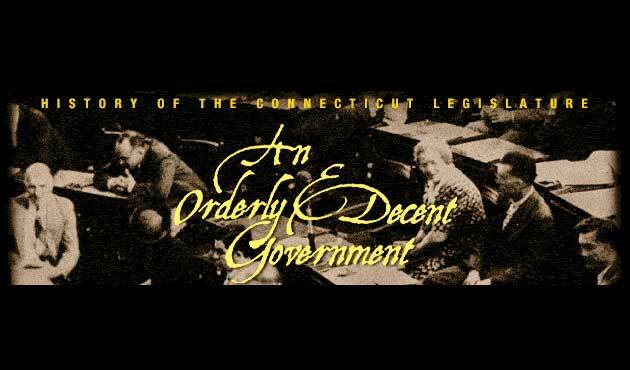 In its 1938 reorganization of state government, the legislature combined 116 separate agencies into 17 executive departments, made the governor responsible for the state’s fiscal integrity, mandated an annual budget, and created a state civil service system. These attempts to improve governmental efficiency increased executive power relative to the legislature. 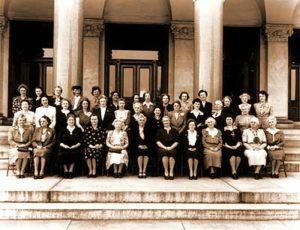 During World War II, the number of women legislators rose from 25 to 39. During the hectic 1949 session, the House rejected the major education, housing, welfare and medical insurance initiatives of liberal Governor Chester Bowles. These defeats reminded both parties that moderation was essential in a legislature perpetually split between a Democratic Senate and a Republican House.